Are you craving delicious fresh boiled peanuts? Do you want a quick snack for you and your family? Well, The Peanut Guy is ready to serve you! - Special peanut boiling method: Do you want to know what separates us from the other peanut vendors out there? It's our special method! You heard that right. A special peanut boiling method! 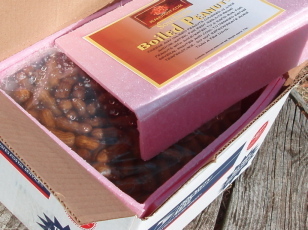 This method ensures that the fresh boiled peanuts you order will get to you safely. Plus, their flavor will remain fresh and as desirable as ever. We promise - you will keep coming back for more! - Fantastic flavor: And don't get us started on flavor! But since you wanna know, our fresh boiled peanuts boast excellent flavor that will redefine your snacking moments. If you are looking for flavorful peanuts made fresh in South Carolina, then we can help you out. - Online ordering system: Thanks to the Internet, you can now satisfy your fresh boiled peanut cravings in a snap. The Peanut Guy has an excellent online ordering system. Just click on the 'ORDER NOW' button which takes you to the triple secure Paypal site. You do not have to be a Paypal member, just check 'GUEST' and use any debit or credit card to quickly get some freshly boiled delicious valencia more flavorful medium sized peanuts to your door. 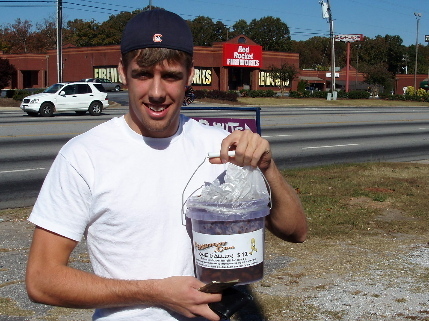 - The Peanut Guy Club: Do you love fresh boiled peanuts and live near our store in South Carolina? Then you should join the Peanut Guy Club! If you are a member, you can get occasional discount coupons - now you can save money while enjoying your favorite snack! You can even send us a photo, and we will post them anonymously in our site. Just email us from the contact page. - Free bumper sticker: Do you like freebies? Well, we have something for you - a free bumper sticker which shows your appreciation for our wonderful peanuts! Our high-quality glossy bumper sticker says "I Brake for Boiled Peanuts." It's included free in any order as long as you write it in the form.